Call Park management. Park timeout in settings. 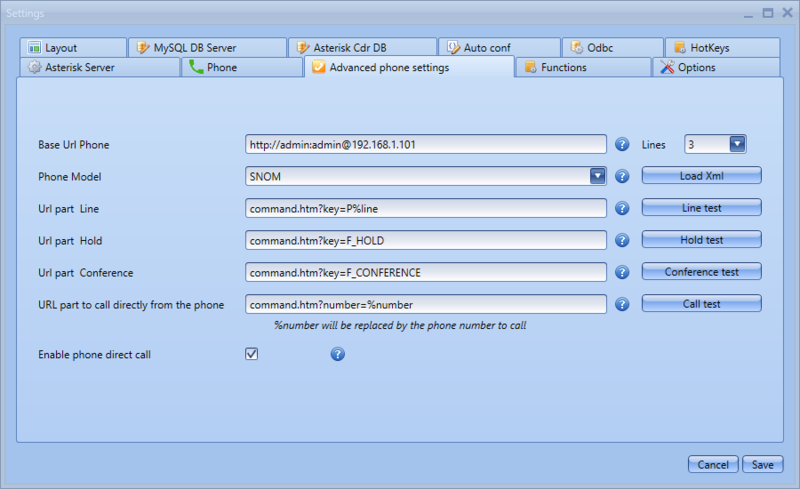 Handsfree call using the phone direct call string command. This string varies depending on the phone model. Preference to automatically close the pop-up of incoming call when you click the missile icon to launch the external program.